In “a great little town” like Carlton, residents deserve a great little maid service. That’s where we come in. Maid Brigade offers the best and safest home cleaning around. Providing exceptional service, professionalism and genuine care for our clients is what makes us a cut above the rest. If you don’t believe us, hire our maids and see for yourself. Life can be hectic. But don’t let worries over house cleaning add to the craziness. Instead of wasting your precious time scrubbing toilets and mopping the kitchen, enlist the help of our housekeepers and watch your worries disappear. Having someone else to tend to the trash and disheveled beds will provide you with a bigger chunk of the day to relax. Schedule a deep tissue massage at New Path Massage or meet up with your gal pals at The Horseradish for a little wine and live music – we’ll taking care of the cleaning. Maid Brigade’s Carlton cleaning service aims to please our clients. Maybe you’d like us to use special care when dusting your china cabinet or maybe some of your family members have bad allergies – whatever the concern may be, we’ll make it a point to acknowledge it. All of maids are carefully screened, trained and certified to clean your home in a healthy and professional manner. In an era where concern for the environment and our health are great, Maid Brigade’s cleaning service knows how to address these issues. 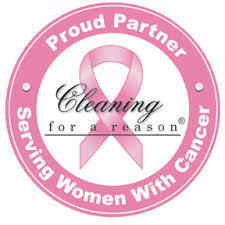 While traditional housekeeping companies use products and processes that my compromise your health, we practice holistic cleaning. Maid Brigade is Green Clean Certified®. The products and tools we bring into your home are eco-friendly and free of toxins and carcinogens. Not only will your home look clean when we’re through with it, it will feel like a clean, safe indoor environment as well. If you feel like you don’t have enough time in the day, we’ve got a simple solution that will add more hours to the day. Schedule a house cleaning with Maid Brigade and you can take the kids the city pool for a little splashing around in the water. Have our maids take on the window-shining and drape-dusting and you can enjoy some alone time and Italian food with your main squeeze at the Cielo Blu Grill.